Active Partners - Hiring Event! - Southeast KANSASWORKS, Inc. Active Partners – Hiring Event! « Active Partners – Hiring Event! 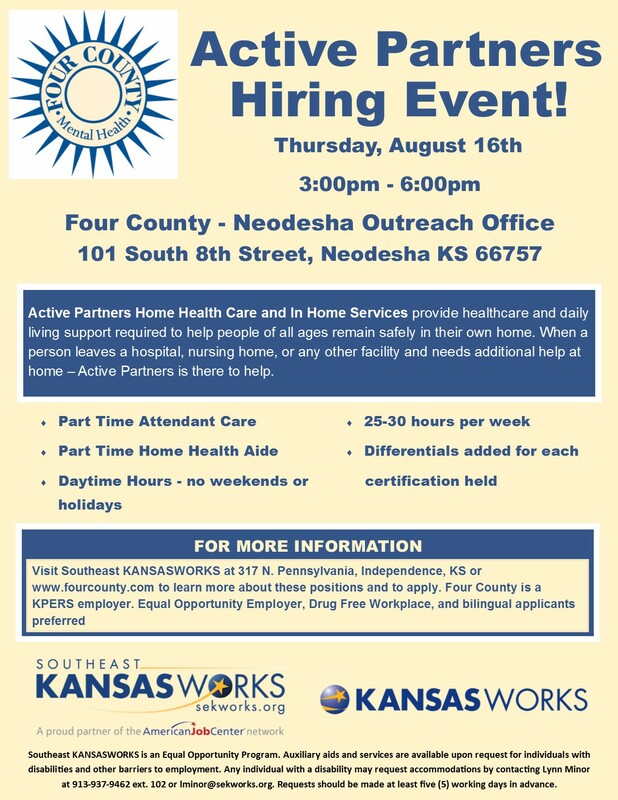 Independence Job Center – Southeast KANSASWORKS, Inc.